Metallic Cords. Always Good In Seasonal Times Of Year And Of Course Costume Making. 1mm Cord 100 Mtr Roll. Gold. 1mm Cord 100 Mtr Roll. Silver. 1mm Cord 5 Yd Bundle. Gold. 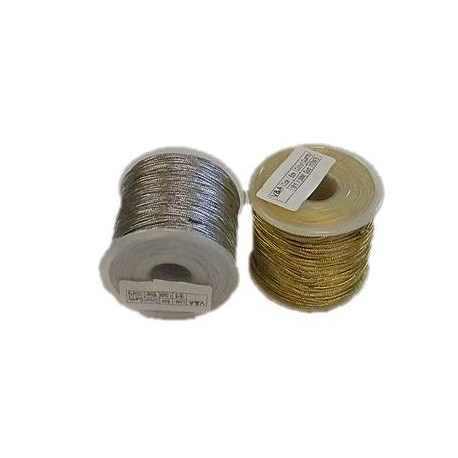 1mm Cord 5 Yd Bundle. Silver. 7mm Cord 25 Mtr Roll. Gold. 7mm Cord 25 Mtr Roll. Silver.